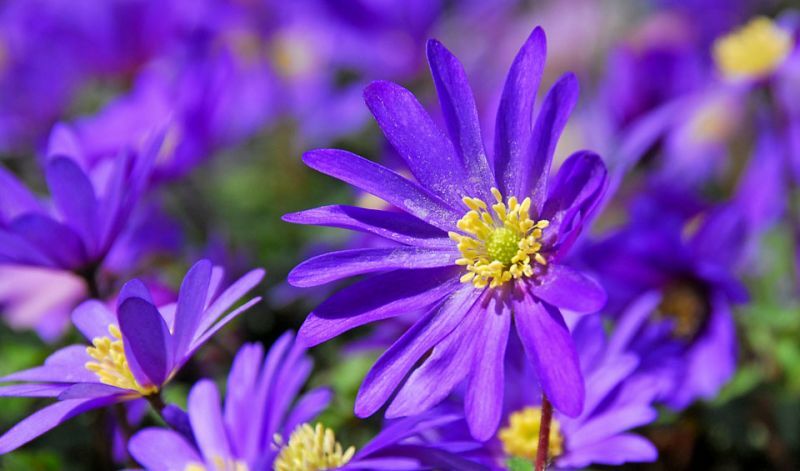 The genus, Anemone, the name of which is derived from the Greek word for 'wind' (anemos), includes about 65 species. 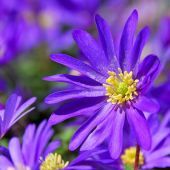 Numerous species bloom in the spring, but there are also some (e.g., the Japanese anemones) that flower in the fall. Soak the corms of blanda- and coronaria species in luke-warm water overnight before planting. 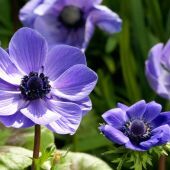 In mild climate zones the coronaria species can be planted in Fall, in colder climates they should be planted in Spring after the danger of frost has passed.